If you use Linux in your day-to-day work, this popular pocket guide is the perfect on-the-job reference. The third edition features new commands for processing image files and audio files, running and killing programs, reading and modifying the system clipboard, and manipulating PDF files, as well as other commands requested by readers. You'll also find powerful command-line idioms you might not be familiar with, such as process substitution and piping into bash. 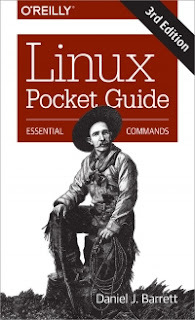 Linux Pocket Guide provides an organized learning path to help you gain mastery of the most useful and important commands. Whether you're a novice who needs to get up to speed on Linux or an experienced user who wants a concise and functional reference, this guide provides quick answers.